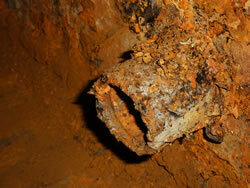 Because a water tank is corroded or leaking, it doesn’t automatically mean an expensive tank replacement is required. 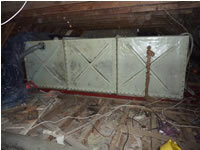 In many cases professional repair and refurbishment work carried out on the existing tank is a cost-effective alternative. 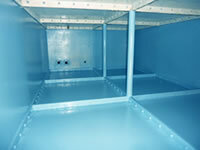 Specialist Coatings (GB) Ltd provide a full water tank lining service or we can supply the water tank lining materials for use by competent persons. Click here for details. 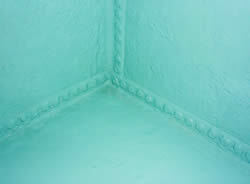 Our easy to use solvent free epoxy and polyurethane tank lining materials which have been specifically formulated for water tank coatings and water tank lining. 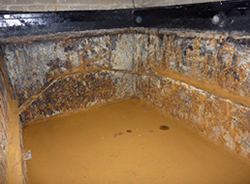 We provide long-term protective solutions to combat the problem of corrosion and erosion of cold water storage tanks utilising high performance, solvent free technology. Our specialist water tank refurbishment service can restore existing water storage tanks to HSE and Water Supply (Water Fittings) Regulations 1999 standards. Whether you need a water tank repair, water tank refurbishment, or a water tank coating, Specialist Coatings (GB) Ltd can help. 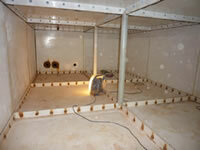 In-situ water tank refurbishment is far more practical and economical than tank replacement. 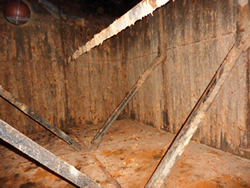 Corrosion and scale formulation in a water tank can, if left untreated, weaken the structure of the vessel and create conditions for bacteria to form. In our throwaway society far too often, older cold water tanks are discarded when in reality they can delivery effective service for many more years to come. We have revitalised many water tanks which would have otherwise been dismantled and destroyed needlessly, with all the cost, hassle and financial implications of removing an old water tank and installing the new one. 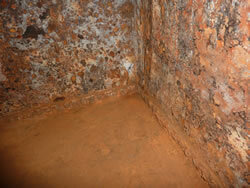 At Specialist Coatings we repair and restore old corroded water tanks with our solvent free glass flake reinforced resin technology, to further the life of the existing tanks by 5 to 20 + years depending on the system used and our customer’s requirements. In our many years of experience we have refurbished water tanks in every conceivable condition of corrosion, holes and decay with many problems, but we always work with the customer to find the most cost effective solution. We pride ourselves on our longevity within the industry, and our commitment to restoring corroded and neglected water tanks anywhere in the UK. 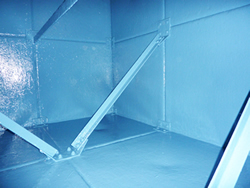 There is an efficient and cost effective solution of existing galvanised steel and fibreglass water tanks. 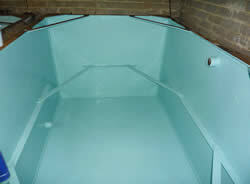 Corroded steel and worn or damaged fibreglass tanks used to store potable or process water can be easily repaired and refurbished using a smooth, easy to clean epoxy lining, which meets current regulations and extends the life of the tank, thus avoiding the need to replace existing tanks. 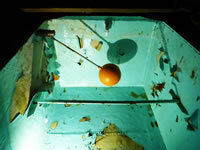 Our tank lining system has been developed for both potable and non-potable water storage. 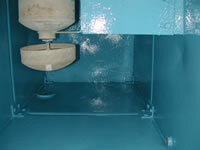 It provides long-term protection and extends the working life of the tank. 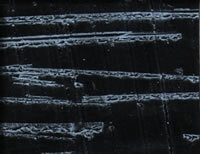 The hard non-porous surface finish of our tank lining system inhibits contamination and the growth of bacteria, including Legionella and micro aquatic organisms. Water tanks should have tight fitting lids complete with screened air vents and overflows, we at Specialist Coatings can now supply and if required fit lids for water tanks that conform with current water fittings standards, this is a service we offered as we realised that lids are not available for many types of tanks, especially the older water tanks. 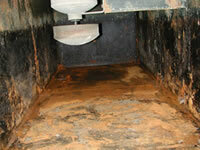 Click on our Tank Lids section under services to see how we can help. 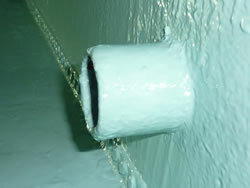 A solvent-free non-tainting epoxy resin is used to line galvanised steel, fibreglass, concrete and carbon steel tanks, which conforms to BS 6920, is WRAS, FDA and/or NSF approved, and manufactured to BS EN ISO 9002. Its application is ideal for use in confined areas where access is limited or where the production of dust and fumes would be problematic. 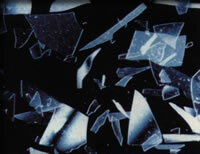 We provide a rapid installation service that causes little disruption to your operation. 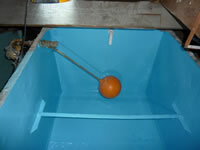 Minimal preparation is required when installing our water tank lining system. 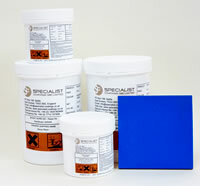 The high build surface tolerant anti-corrosion epoxy primer is applied by brush, roller or, for larger water tanks, sprayed onto the prepared surface. 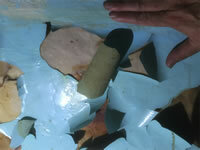 Reinforced glass flake epoxy water tank lining top coats are applied using the same methods. This water lining system can, if required, be returned to service in as little as four hours, whilst meeting all current regulations regarding the storage of drinking water.